The Formula One field is slowly shaping up for the 2018 championship season which will mark the 69th edition of the Moving Circus. The calendar will include 21 Grand Prix, repeating the record-breaking number of races of the 2016 season. Toro Rosso parted ways with Renault, allowing McLaren to finalise their agreement with Renault. The Faenza-based team came to an agreement to use Honda power units in 2018. 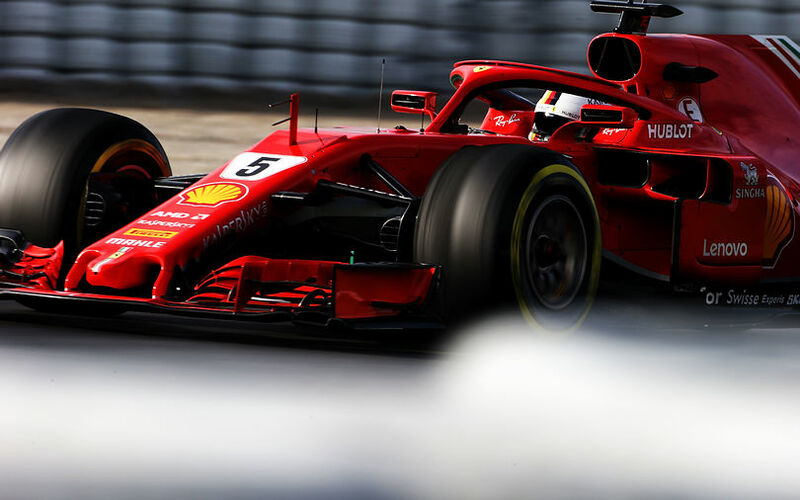 Sauber renewed their long-time partnership with Ferrari, upgrading to current-specification power units after having used year-old power units in 2017. The Swiss squad will collaborate with the illustrious Alfa Romeo brand which will be the title-sponsor of the team. The collaboration will also include technical cooperation between the two companies. Williams driver Felipe Massa retired from Formula One at the end of the 2017 championship. The Brazilian was replaced by the Russian driver Sergey Sirotkin who formerly worked as Renault’s test driver. Reigning F2 champion Charles Leclerc will make his competitive debut with Sauber following Friday practice outings in the last two years. The Monegasque replaces former DTM champion Pascal Wehrlein who will fulfil test and reserve driver’s duties for Mercedes. Toro Rosso will feature the less experienced driver line-up. Le Mans winner Brandon Hartely and 2016 GP2 champion Pierre Gasly will drive for the team. Long-time Red Bull-backed driver Daniil Kvyat left the team and joined Ferrari, securing a development role with the Scuderia. The 2018 calendar will consist of 21 races, a record-breaking number which was set back in 2016. After the German Grand Prix was cancelled last year, the number of races fell back to twenty. 2018 will see the reappearance of that GP which will be hosted by the Hockenheim race track. The French Grand Prix also returns to the calendar for the first time since 2008. The race is due to return to the Circuit Paul Ricard, which last hosted the French Grand Prix in 1990 before the event moved to the Circuit de Nevers Magny-Cours. The Malaysian Grand Prix—which was part of the championship from 1999 to 2017—was discontinued due to financial reasons. According to the organizers, the Grand Prix was financially not maintainable anymore. The most visible regulation change will be the widely discussed introduction of the head protection system called halo. The Halo is a standard part, but teams are given some possibilities to aerodynamically optimize the component. Several squads have already trialed individual solutions to improve the airflow around that critical area. The system is believed to weigh around 14kg, a mass that is only partially covered by the increase of the minimum weight of the cars, up from 728kg to 733kg. Another visible change will be the removal of the shark fin engine cover. The ban of the shark fins cause headaches not only for the technicians, but also for the marketing experts who lose an enormous advertising surface and therefore have to replace the starting numbers and sponsor names to other visibly fortunate surfaces. The disliked T-wing will also disappear from the sport after its presence throughout 2017. A gift for the fans from FOM will be the introduction of a 360-degree camera which has been a feature in the American IndyCar Series for several years. The device which will be mounted directly ahead of the central Halo pillar has been tested on several occasions last year. The protection against the tyres flying off the cars was also further addressed. Previously, two tethers secured the wheels. Since tyres flew off in some accidents, the FIA now requires a third tether for each tyre. This complex unit is made up of six different elements: internal combustion engine, turbocharger, MGU-K, MGU-H, battery and control electronics. In the previous year, each driver had a pool of four power units which meant four units of each component. For 2018, the number of internal combustion engines, the turbochargers and the MGU-H was decreased to three while only two units can be used of the other three components. The penalty system was also tweaked. Drivers collecting a number of grid drops worth more than 15 places will be automatically sent back to the back of the grid. If more drivers receive this penalty during the same event, the timing of the penalty will decide which driver occupy the higher grid place. An earlier penalty enjoy advantage over a later one. F1’s sole tyre supplier Pirelli has also altered its tyre range for 2018. Instead of five, the range will consist of seven compounds. Both ends of the range will be extended: the extreme hard will be the hardest one while the hyper soft will feature the softest compound. Worth noting, the extreme hard is only a back-up compound and will only be used if the next-generation cars produce higher load on the tyres than anticipated. Development through CFD simulation and wind tunnel has been restricted for several years. FIA introduced clampdowns via a maximum data flow and working hours a few years ago. For 2018, these restrictions will be even stricter and the regulation became more clear in an attempt to avoid any loopholes.